A 70 minute film rich with rare archive and great music from across 4 decades including key interviews with the people who started Greenbelt and those who have guided it across the years. The film honestly reflects the journey so far and takes a peek into the festivals future. If you have been you will know why Greenbelt is so special, if you haven’t this film will show you why. 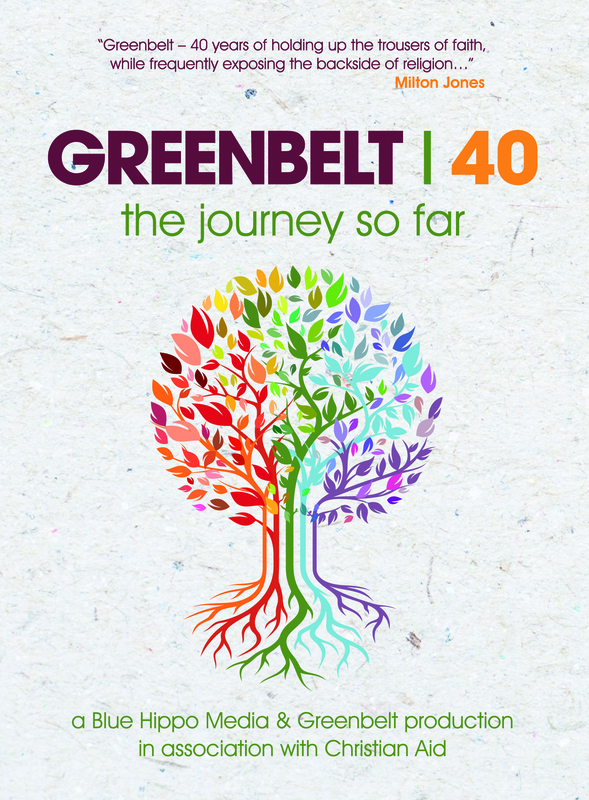 The Greenbelt 40 film is being produced by Blue Hippo Media in partnership with Greenbelt and in association with Christian Aid. We have raised funds for the film together from crowdfunding /sponsors and generous individuals. and then the film will be available on DVD and download and we are looking at some event based cinema screenings and talking with TV broadcasters. Thank you to everyone who has supported by either contributing or helping us with archive and music. Thank you to all of those who helped us raise the funds. Thank you to all the Greenbelt staff especially Paul and Derek for all their hard work. Here is the 2nd teaser to wet your appetite for the forthcoming film. We are encouraging people to follow us on FB and Twitter or on our micro website for all the updates. The film really is taking shape: we are down to final interviews and we are off up to the Solas festival next weekend to capture some of the innovation and beauty of that as part of the future out workings for GB: so finally archive film / music /photographs / interviews past and now are all intertwining over 70 minutes to create the definitive GB at 40 film: “the journey so far”. 23rd April: we are currently deep into the edit of the film: its a big project! !we have sourced via lots of brilliant supporters and past creatives wonderful archive on super 8 film to fantastic photos and audio.we are also pursuing some wonderful music related to the festival and its past performers too. Use the info below to create article/blogs /news items to help us spread the word: If you want an interview with the filmmakers get in touch. Licenses also available for public screenings from G_Talks situated within G_Books at the festival or contact info@bluehippomedia.com for more info. A feature length documentary film that honestly retells the highs and lows of the Greenbelt Festival story. Featuring rare archive footage and photography, music from across the festival’s four decades and voices, past and present. It reveals its humble beginnings in a field in Suffolk in 1974 and weaves around its long and intriguing history – how Greenbelt has grappled with the intertwining of Arts, Faith and Justice from the very beginning. also looks towards its future.